Thank you for your interest in Smith & Wollensky! Smith & Wollensky has been serving up the finest USDA Prime dry-aged steaks in America since it first opened its doors in New York in 1977. After winning the heart of the Big Apple, those award_winning steaks were soon to be found all across the States, from the windy city of Chicago to the hot sands of Miami Beach. 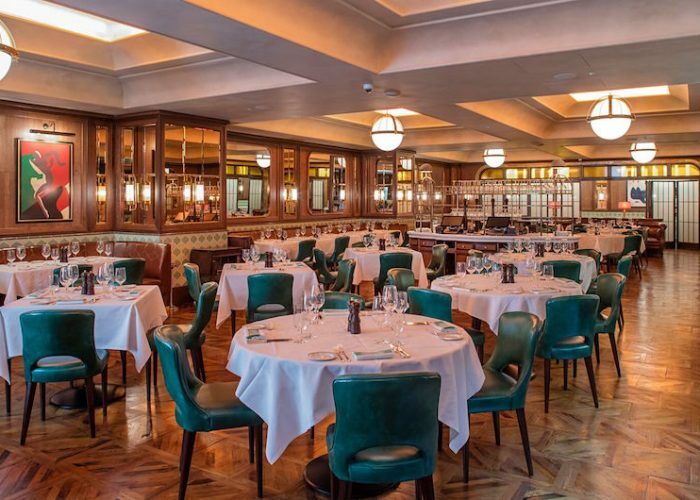 In June 2015 Smith & Wollensky launched its first London site in the historic Grade II_listed Adelphi Building just off the Strand, offering a selection of signature USDA Prime dry-aged steaks and premium seafood, alongside award winning wines and classic cocktails. 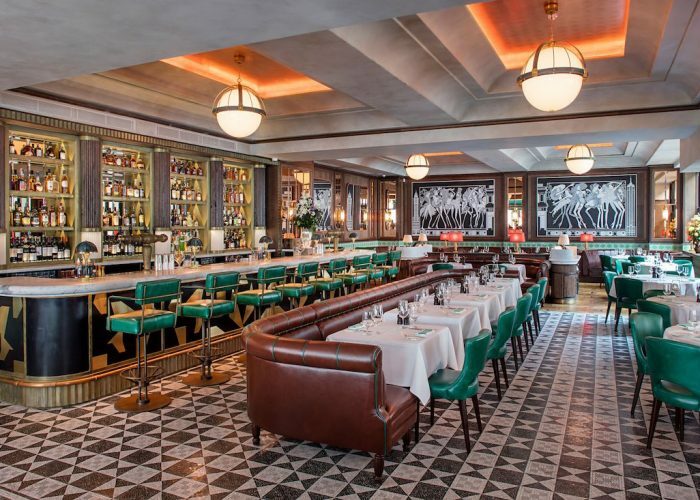 From the glamorous reception through to the 1920s_inspired artworks on the walls, Smith & Wollensky evokes the elegance and timeless appeal of the restaurant’s rich heritage across the pond while capturing the essence of the capital’s current dining scene. Smith & Wollensky occupies two floors with two full service bars and three private dining rooms (one with its own dedicated bar). 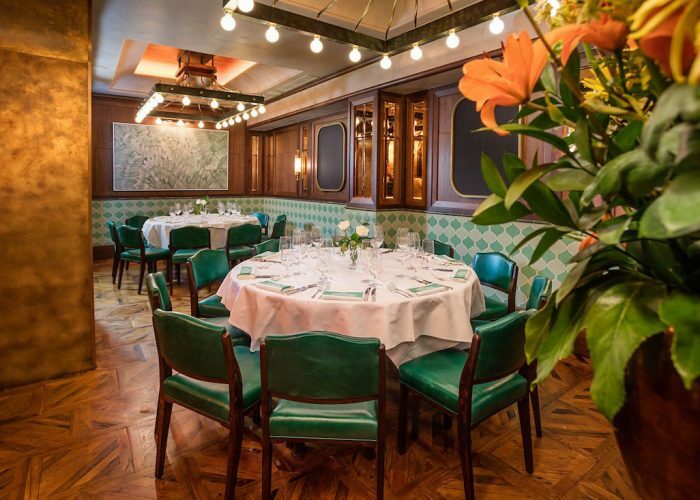 Far more than just a restaurant, this versatile space can be hired exclusively to host a variety of events from stylish dinner soirées to full blown parties with DJs or even a live band. All rooms have dedicated fibre optic broadband making them perfect for live streaming or video conferencing, as well as state of the art music systems allowing your own choice of music. Both the Liberty Room and the Theodore Roosevelt Room are equipped with 55” plasma screen TVs. The Liberty Room accommodates 20 seated guests and up to 30 standing. This is ideal for more intimate gatherings, cocktail receptions, networking events and corporate lunch meetings. The room is equipped with a 55” flat screen TV and dedicated fibre optic broadband. 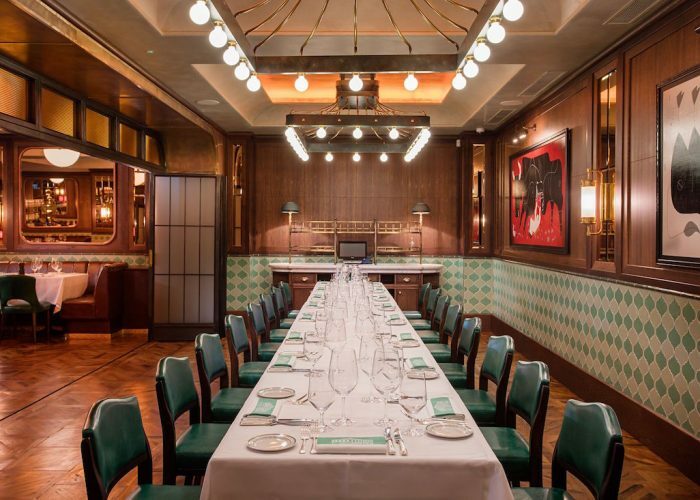 The Churchill Room can accommodate up to 28 seated and 40 standing guests. It is perfect for a wide range of events including corporate dinners, lunches and cocktail receptions. 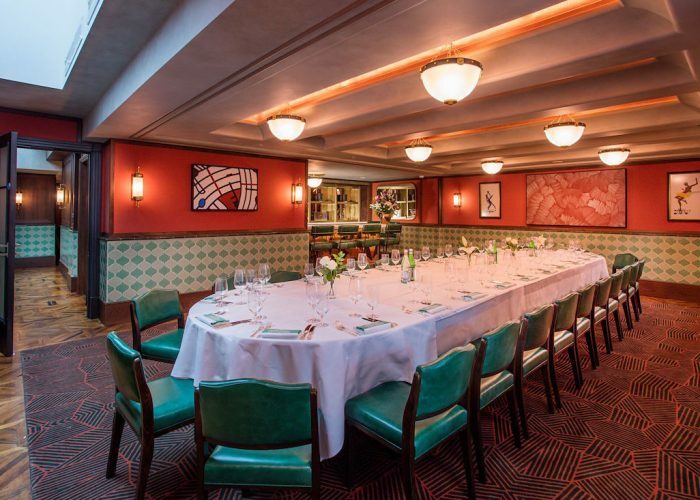 The Churchill Room can be combined with the Liberty Room to create a larger space to accommodate up to 38 people seated and 60 standing. The Theodore Roosevelt Room is equipped with its own private bar, 55” flat screen TV, a state of the art dedicated music system and fibre optic broadband. The room has capacity for up to 50 seated and 60 standing guests making it suitable for a wide range of events including cocktail parties, award ceremonies, birthday celebrations, product launches, lunches and dinners. The venue is ideal for large scale parties and events such as product launches, gala/charity dinners, film premieres, award ceremonies, weddings, fashion shows and live music performances. The space can be dressed to suit any theme or to reflect your corporate brand identity. The ground floor can accommodate up to 127 seated and 120 standing guests. The main dining room can accommodate 200 seated and 240 standing guests. Both floors can be hired individually or as a whole venue.